Welcome to the first ever Rockstar Guitar Tuition `Artist of the Month. It`s November and our first band to win is the brilliant `Bonsai Trees` from Connecticut, USA. I`m actually pretty astounded that these guys are unsigned. Listen to their tunes, watch their videos. Everything about them just tells me it`s only a matter of time before a label picks them up. 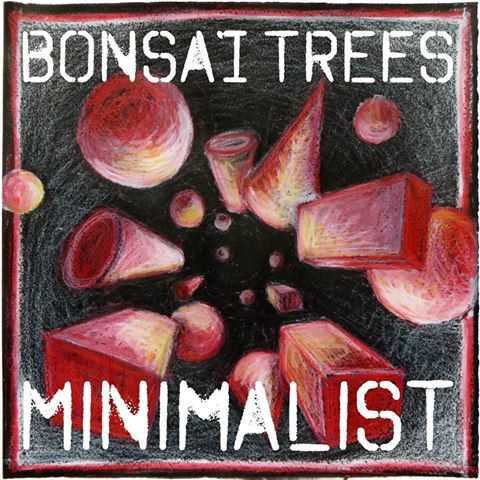 Bonsai Trees are an alternative rock band from Connecticut that started in 2011 when James Macpherson (singer/guitarist) and Nick Sokol (drummer) met in Spanish class at their High School. The two began to build a friendship around their music, and quickly began writing songs for fun. As things got more serious, and the songs got a little more complex, the two set out on a search for a bass player to fill out the band’s sound. 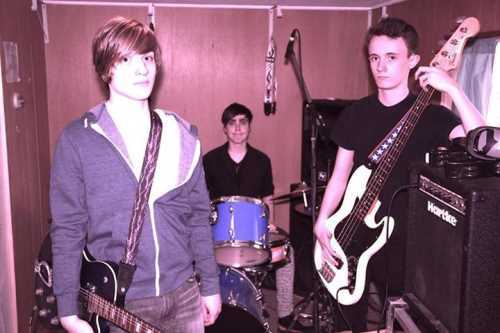 After auditioning a few people, Jimi Cryan joined the band as the bassist. First day of practicing with him on bass the song “Ronald Raygun” (brilliant name by the way) began its evolution into what became the second track on Bonsai Trees’s debut LP “Minimalist. As the band kept practicing and writing new songs, they also began to land their first gigs. From charity events to raise money for music scholarships, to shows at locally renowned venue “The Space” in Hamden, CT. Averaging about 2-3 gigs a month over the last year Bonsai Trees has played in CT, Rhode Island, Massachusetts, various fairs and arts festivals, and even in a backyard. Bonsai Trees are currently writing new songs, practicing constantly, playing gigs, and working on new music videos and other media content to keep busy and to make a name for themselves. With influences including the likes of Nirvana, The Strokes, Muse, Dismemberment Plan, Foo Fighters, there is a diverse range of songs on offer here. Take a listen to the track `Hurricane Song` which was released as a split single with Mad Blackbirds (whose track Wax Wings is always a killer tune by the way) for a belting song. There`s multiple genres thrown into this piece of sublime beauty. All the way from 70`s infused melodic pop to 90`s pop punk and more in between. The way the song pulls you in and pushes you away whilst keeping you utterly entranced shows musical knowhow well beyond their years. Guitarist and vocalist James Mcpherson has pretty simple setup. He plays a red Fender Jaguar and a blue D’Armond, through a Fender Hot Rod, with the legendary Big Muff pedal and a Line 6 delay multi pedal as his core effects. The guitar work is often simple, yet very melodic and angular at the same time. More often than not the guitar is understated yet the big fuzz tones are as unmistakable to the band`s sound as is the distinct vocals of singer James, who shockingly sounds much more of a complete singer than many twice his age. Inspired by players such as Albert Hammond Jr, Kurt Cobain, and Ritzy Bryan (from The Joy Formidable), you can hear the understated yet powerful modern indie rock influence all over his playing. Especially from the aforementioned Albert Hammond Jr. One thing James looks for in player is “Never playing more than is necessary for the song.” which I fully agree with. You can download their debut album, `Minimalist` from Bandcamp. Check it out. It`s stunning. Dan, thanks for selecting us as your first Artist of the Month, and for such a great review! If it’s ok with you, we will be posting extracts from this on our website, with links back to your own site. No problem at all guys. Feel free to link to this post as much as you like. Keep up the good work and let us know if/when you tour the UK. I`ll be sure to be there! Next Post: Do you live in Cradley Heath, Halesowen or Dudley? Come and learn the ukulele with us in 2014!